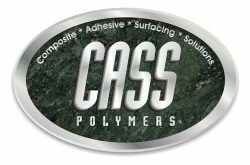 The Partners of ShoreView Industries are pleased to announce an investment in CASS Polymers, Inc.
CASS Polymers, Inc. (“CASS”) is engaged in the formulation, manufacturing, and marketing of specialty chemicals, focused on complex industrial composites, adhesives and polymer coatings. The Company’s products consist of a broad mix of epoxies, urethanes, and polyesters, which, for the most part, are proprietary to CASS. CASS sells to several end markets including automotive, aerospace and defense, electronics, commercial and consumer floor coatings, and infrastructure repair. Headquartered in Oklahoma City, OK, CASS also has two production facilities in Michigan (Charlotte and Madison Heights) and one in Irvine, California. ShoreView partnered with Akoya Capital and management on a majority recapitalization of the Company.